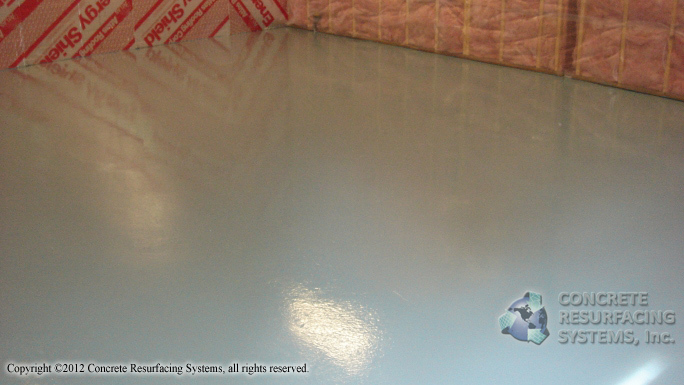 This Boston, MA area residential garage floor was previously coated with “concrete floor paint”, a low quality “epoxy paint”, the type sold to homeowners by some of the large chain hardware stores. The paint had worn out in some areas and was flaking off or stained in others. Concrete Resurfacing Systems, Inc. prepared the floor, then applied a high solids epoxy primer followed by an anti-slip epoxy top coat. 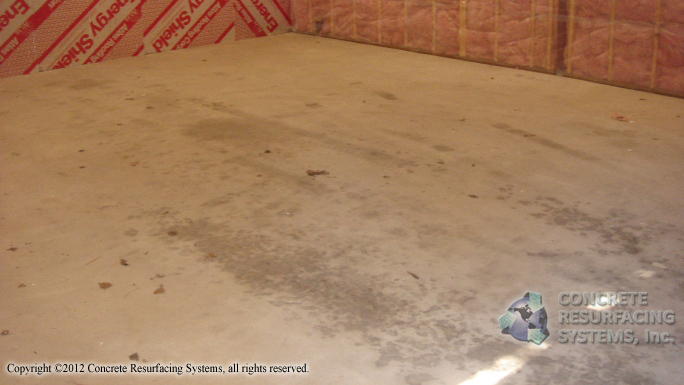 This type of flooring system is tough — regular vehicle use will not wear it out, and it repels water, oils and most automotive fluids and household chemicals.